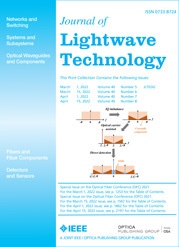 Laser frequency combs with repetition rates on the order of 10 GHz and higher can be used as multi-carrier sources in wavelength-division multiplexing (WDM). They allow replacing tens of tunable continuous-wave lasers by a single laser source. In addition, the comb's line spacing stability and broadband phase coherence enable signal processing beyond what is possible with an array of independent lasers. Modern WDM systems operate with advanced modulation formats and coherent receivers. This introduces stringent requirements in terms of signal-to-noise ratio, power per line, and optical linewidth which can be challenging to attain for frequency comb sources. Here, we set quantitative benchmarks for these characteristics and discuss tradeoffs in terms of transmission reach and achievable data rates. We also highlight recent achievements for comb-based superchannels, including >10 Tb/s transmission with extremely high spectral efficiency, and the possibility to significantly simplify the coherent receiver by realizing joint digital signal processing. We finally discuss advances with microresonator frequency combs and compare their performance in terms of flatness and conversion efficiency against state-of-the-art electro-optic frequency comb generators. This contribution provides guidelines for developing frequency comb sources in coherent fiber-optic communication systems.